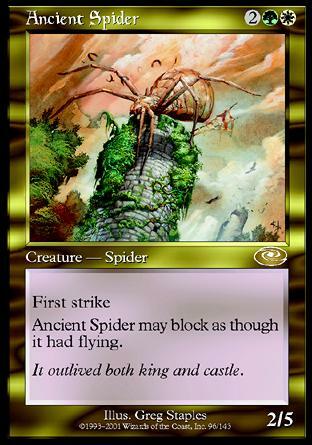 card text: First Strike Ancient Spider may block as though it had flying. Excellent Anti-Air! Second only to Silklash Spider! ..